I’m one to experiment in the kitchen – I like testing the possibilities of a recipe, adapting it to fit my mood/budget/what’s in my cabinets. Sometimes this goes well (remember the More is More Bars? )…sometimes not so much (the Blue Cake Disaster)…But sometimes it’s really important for a recipe to work out perfectly. And in those circumstances, I follow it word for word. Saturday was just such a circumstance. 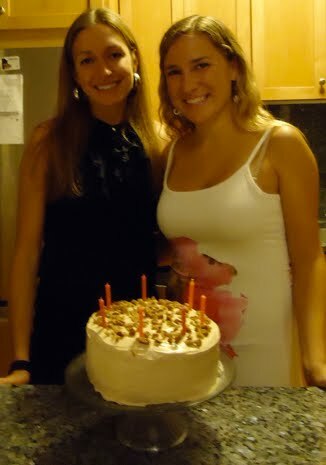 We planned to celebrate Emily’s birthday that night, so Jess and I prepared for an epic cake. 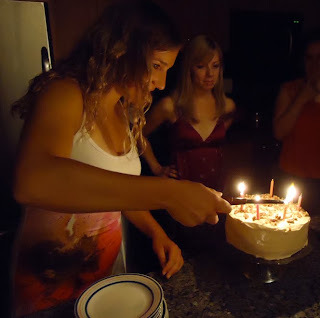 Right before leaving Boston, Jess came across a recipe she had torn out of a Food and Wine Magazine: Caramel Cake. 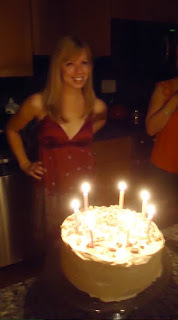 It looked AWESOME, the perfect birthday cake for Emily! 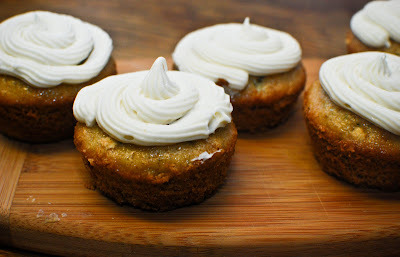 We made three cake layers, dipping our fingers in the batter for a taste…OMG yummm! This cake is going to be SO GOOD! 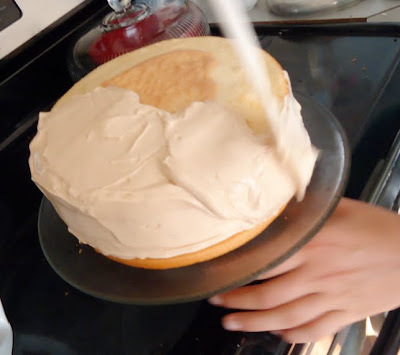 Then it was time for the frosting. We read through the recipe completely, assembled all our ingredients, and made a game-plan (you stir the sugar until it melts, while I add in the cream, etc.). And then we followed the recipe exactly. Word for word. AND IT DIDN’T WORK. 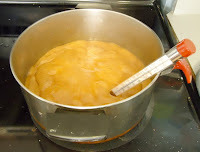 After removing the caramel mixture from the heat and letting it cool for 25 minutes, we were supposed to beat it for 15 minutes until it thickened. We beat it for close to 45 minutes…and NOTHING HAPPENED. We tried everything: refrigerating it for a while, adding cornstartch, beating and beating and beating it. 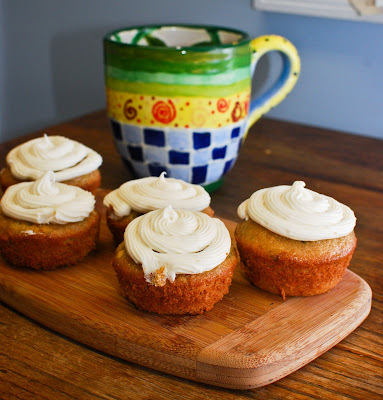 But the caramel stayed liquid – nothing remotely close to frosting consistency. What a waste! I raged (in a surpristing change of roles, Jess was the one calming me down). I hate Food and Wine! I hate this recipe! They lied! I’m so mad that it didn’t work! Just look at that rant-inducing totally liquid caramel! Jess even considered calling the restaurant from which the recipe came to inquire/complain. Our rage exhausted, we finally we gave up – something had to be done…the question was,What? Put on your shoes, we’re going to the grocery store. Two blocks of cream cheese later, we had a game plan. I mixed a bit of the caramel mixture into half a block of cream cheese and piped it around the cake layer to serve as a wall for the liquidy caramel. 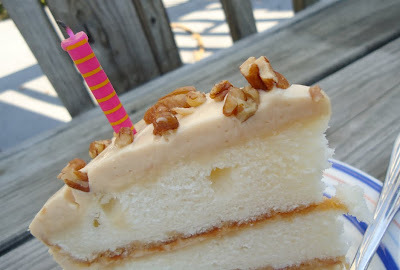 Then I poured the caramel in and topped it with the next cake layer. Then we mixed the rest of the cream cheese with more of the caramel until it was the right consistency and tasted good (and OH MAN did it taste good!). We concluded that the cream cheese was actually a better idea than straight caramel, since the tanginess off the cheese cut the extreme sugariness of the caramel. 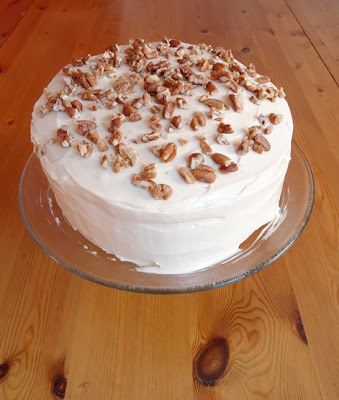 Crisis averted, we frosted the cake and sprinkled toasted pecans on top. 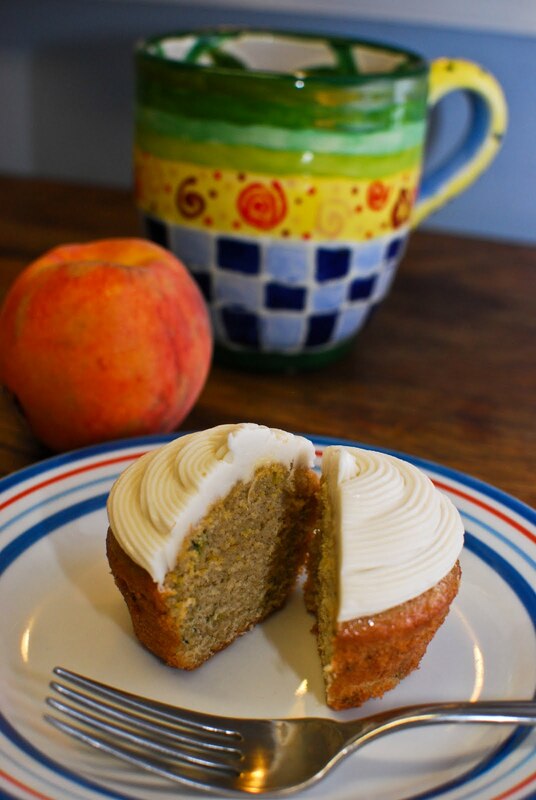 To see the full recipe, go here. 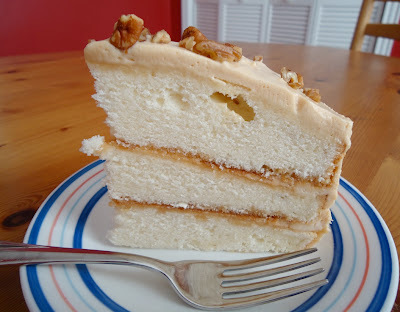 I’ll only share the cake recipe, since the caramel icing was a total fail. Preheat the oven to 350°. Butter three 8-inch cake pans; line the bottoms with parchment paper. Butter the parchment and flour the pans, tapping out the excess. In a bowl, mix 1/4 cup of the milk with the egg whites and vanilla extract. In the bowl of a standing mixer fitted with the paddle, mix the flour with the sugar, baking powder and salt. Add the butter and the remaining 3/4 cup of milk. Beat at low speed until blended, then beat at medium speed until smooth, 1 minute. Beat in the egg white mixture in 3 batches. In another bowl, using an electric mixer, beat the cream until soft peaks form. 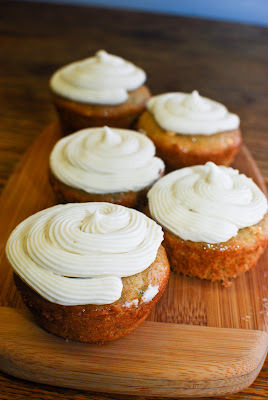 Stir one-third of the whipped cream into the batter, then fold in the rest. Divide the batter between the pans and smooth the tops. Bake for 25 minutes, until a toothpick inserted in the centers comes out clean. Let the cakes cool on a rack for 10 minutes. Unmold the cakes and peel off the parchment. Invert the cakes and let cool completely. 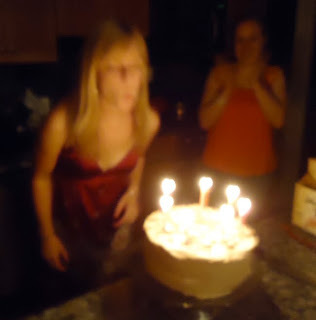 and Emily made a wish! But like I said, overall it was delicious! My awesome Boston friend Jess came to visit this weekend! She flew in Thursday night and stayed until Sunday afternoon. After 3 whole days with her, my voice is tired. Because we do not stop talking. Ever. It’s kind of amazing, but also a bit ridiculous. How do we still have things to say??? Who knows, but I’m glad we do! After a day of shopping and talking and baking and talking and an abs workout and talking and watching Food Network and talking, we went to meet up with Jess’s friend and his wife for dinner on H street. I’ve never been to H street before because a) I don’t go out that often, b) it’s not Metro accessible, and c) it is just way too far away from my bed. But I’ve been reading stellar reviews of Ethiopic since it opened this winter, and I thought this would be a good opportunity to make the venture over thataways. Ethiopic was very good. 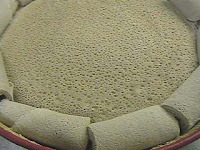 The injera (Ethiopian pancake-bread that you use as a utensil) was fantastic! We ordered vegetarian: Azifa Salad (Whole lentils seasoned with red onions, garlic, jalapeno peppers, olive oil, lemon juice, herbs & spices) was a great value! This could be your lunch or 2 salads could make a dinner. Fosolia (String beans and carrots simmered in a mild sauce), Shimbra Asa (Spicy chickpeas dumpling seasoned with onions, garlic, red pepper, & spices), Signature Shiro (Pureed split peas cooked with red onions and garlic served hot in a clay pot), and Asa Tibs (Fried Croaker fish marinated with fresh herbs & spices and served with lemon). Be warned that last one comes out as a whole fish...but you don't get any utensils...so it's time to get pickey! Sorry - no pictures of the food - we were hungry! The décor was very minimal, not what I expected at all. Normal chairs and normal tables, rather than the usual Ethiopian style stools and little round table things. 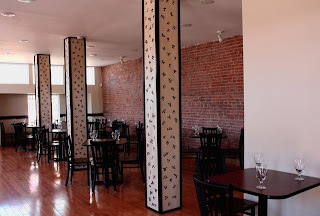 My only complaints were that the table was way too small for a group of four, and it took FOREVER to get our check. And Jess drinks like a camel, so we could have used a few more water refills. After great food and good conversation (i.e. more talking – we are just relentless! ), we left the restaurant. Our next stop was Dangerously Delicious Pies. This place was a must-see, since it’s been featured more than once on Food Network: Paula’s Best Dishes, and Road Tested with the Neelys and The Best Thing I Ever Ate. Jess and I decided to go for a slice of Baltimore Bomb Pie to go (Berger Cookies (a local specialty) that melt down and swirl into a sweet vanilla chess filling), since that's what was featured on TBTIEA. Until, out of nowhere, a woman lunged at Jess and tried to grab her pie! I’m not even kidding – she didn’t go for Jess’s purse – she went for the pie. And since Jess had good priorities and a solid head on her shoulders, she held tight to that box of pie! Oh my gosh. Just keep walking. Things like that happen so fast you don’t even know what’s going on until afterwards. Obviously no one was hurt…it was just kind of scary. I’m a very trusting person, and my danger-radar is non-existent, so when something actually happens it freaks me out. My conclusion is: H street, been there, no need to go back. Unless it’s for injera…in which case I will take a cab. Our spirits weren’t dampened for long though! Shaken but unscathed, we metroed back home, pie in hand, where Baked and Wired cupcakes awaited us (aka, the BEST cupcakes in DC). One Strawberry and one Ginger Peach cupcake to be exact. Yum! The pie, however, was kind of a disappointment. Don’t get it. It’s just kinda soggy and sweet and blah. Obviously we ate it, but it definitely didn’t live up to the hype. Note to self: fruit pies are always the way to go. On Saturday, Jess experienced yoga for the first time (she didn’t hate it, so we’ll count that as a win!). Then most of the day we worked on constructing an epic birthday cake, which you will hear about tomorrow. For now I’ll leave you with this teaser. Looks delicious right? It caused some serious rage. We rested up for a big night out: Local 16 then Wonderland Ballroom – oh man we could barely drag ourselves out of bed for brunch at The Tombs on Sunday (coffee cake on the table. Need I say more?)! Then Jess headed back to Boston – let’s all agree, she should move to DC! This guest-post is from Jess! Whether you’re training for a marathon or trying to tackle your 5k time, it’s simple to say that running is a lifestyle. Mileage is on the mind of many when the alarm goes off each morning and free time is usually filled with ways to get your feet moving fast. But imagine if your feet were fast enough to take on the best in the country…or even the world? 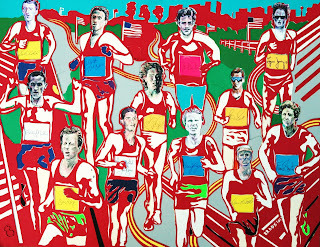 Running itself is universal, but running professionally takes a commitment incomprehensible to most. When running is your job—in the best of ways—and training is just another day at the office, there needs to be a means to competition. The USATF Foundation certainly serves as the means to that end. JC: Tom, what is the overarching mission of the USATF Foundation? TJ: Since its creation five years ago, the USATF Foundation has made its mission to support all things under the broad umbrella of track and field. From emerging elites, to America’s youth, the Foundation aims to serve as a vehicle for those with a passion and a means to fund opportunities to compete. JC: Who makes the decisions regarding funding at the USATF Foundation? TJ: We have been fortunate at the Foundation to attract a 22-member Board of Directors that truly serve as the core of our efforts. All funding decisions come down to the Board, which includes influential individuals ranging from our Chairman and NASDAQ CEO Bob Greifeld, best-selling author Nicholas Sparks, Hollywood director Frank Marshall and Olympic champion Bruce Jenner. JC: Who would be your dream Board member then? TJ: Besides making monetary decisions, the Board members also make major monetary donations themselves that keep the Foundation’s engine running. That being said, Phil Knight of Nike, if you’re reading this, we’d love to have you at the Foundation! However, anyone else with a strong passion for track and field who wants to become hands-on within the sport and feels they have what it takes to sit on our Board, please email me at tom.jackovic@usatf.org. JC: What does “supporting” elite athletes actually mean? TJ: Seeing our athletes compete on a world-class level equals success. Athletes who have the ability, but maybe not the bank account, to compete globally need the Foundation’s support. We ask all elite candidates to fill out our online application in order to be considered for a stipend. As I said before, the Board of Directors makes all final funding decisions, with about 50 athletes getting grants each year. JC: How long do the grants last? TJ: We ask athletes to renew their grants on a yearly basis since the field is so competitive. Once an athlete receives funding, there’s no guarantee they’ll continue getting money each year. Improvement certainly helps, but for us at the Foundation, success—no matter the level—means seeing grantees compete. Participation proves greater than results to us. JC: Besides grant monies, how else does the Foundation support elites? TJ: We really strive to help these athletes from start to finish, and in addition to the grants, the Foundation’s Elite Athlete Jobs and Mentor Program has been a huge success. We essentially try to help elites in three ways: granting stipends to compete, finding job assistance to increase income and allow for flexible training, and providing mentorship guidance during post-competitive years. Our jobs program has recently expanded, with over 30 companies now participating in providing opportunities. JC: How does the Foundation raise funds outside of the Board? TJ: Educating people who want to participate is key, so all of our promotional efforts are aimed at increasing awareness and informing potential donors. The Foundation really wants to broaden its scope of donors in years to come, and it’s important to stress that we are not government supported. These elite athletes make up America’s Olympic and World teams, and the people of our nation truly can serve as team “owners” through their generous efforts. JC: Are there any major capital raising events for the Foundation? TJ: We haven’t been event focused in the past, but in 2011 and going forward we have some big things brewing. A “Race with the Stars” charity 5k is currently in the works, where runners would have a chance to toe the line with top athletes and celebrities. Given the depth of our Board, you can only imagine the reach we have with the celebrity crowd! Also, we are sponsoring a VIP trip to the 2012 London Olympic Games, hosted by Board member Bruce Jenner. This once in a lifetime opportunity will allow people to spend a week meeting and mingling with track and field elite at the Olympics, all while supporting Team USA’s track and field stars. JC: Who are some of the Foundation’s biggest success stories? TJ: Stephanie Brown Trafton and David Oliver medaled at the 2008 Beijing Olympic Games—you can’t really ask for much more. Steph truly embodied the essence of what the Foundation is all about: a competitive, but low-key athlete rising to world-class success after being given the means to compete. Her unexpected discus results in Beijing wholeheartedly stayed true to the “story” of the Foundation. TJ: I can honestly say I love my job. I work with a Board of Directors that are head and shoulders above any other non-profit’s. Even though the recession has certainly made dollars fewer and farther between, the Foundation has been able to continue doing what it does best: giving America’s athletes a way to reach their top potential. JC: What’s your outlook, Tom? TJ: I’m so proud that the Foundation has been able to facilitate the funding for athletes to live their dreams and love their sport. I’m more than optimistic that the Foundation will continue to grow under its great leadership, which holds countless opportunities for us. Believe me, the best is yet to come. Thank you Jessica. Let’s take a moment for a collective Awwwwww! This is my Nigerien homestay brother, Lowaley, and his cousin, Hadiza. Aren’t they adorable??? 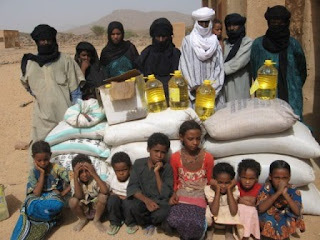 They live outside Niamey, the capital of Niger. 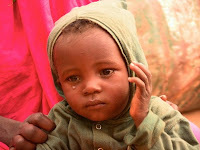 Niger is currently threatened by massive famine, compounded yesterday by flooding in the region. The floods are making an already dangerous situation even worse by washing away food reserves and leaving thousands homeless. 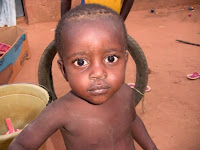 “The World Food Program recently announced that at current funding levels, it will not be able to help feed 60 percent of those facing hunger in Niger.” Many of those threatened by the famine are children (Article: NIGER: "We drew lots to decide which children to help"). 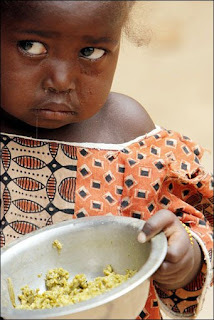 Children are the most vulnerable, so please do what you can! A couple dollars can go a long way in helping people in Niger and helping them live to the next harvest (end of September). And I promise this is the LAST TIME I'll ask you - the drawing to win a box of pillow cookies will be tonight! So donate, tweet, and then comment on my post for your chance to win! In other news, a couple weeks ago I was in the mood to make something summery. And nothing says summer to me like zucchini. I used to hate it in its vegetable form. Steamed zucchini = blegh! 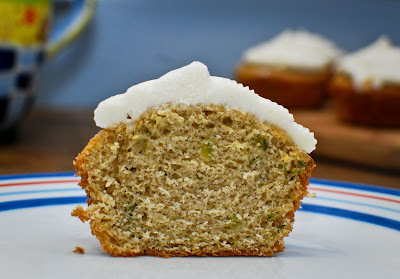 But zucchini in cake form? Yes please! My mama used to make zucchini bread in many varieties – with chocolate chips, with walnuts, chocolate zucchini bread, and double chocolate zucchini bread. It just tastes like a summer afternoon! That is more than plenty. But do I regret it? In bowl, mix flour, sugar, molasses, baking powder, cinnamon, and salt. In separate bowl, combine zucchini, oil, eggs, and vanilla. Add this to flour mixture and mix until just combined. 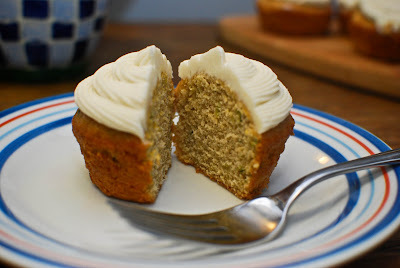 Use 1/4 cup measuring cup or ice cream scooper and scoop into prepared cupcake pan. Put in freezer (right out of oven) for about 45 min. to and hour.